One of the toughest decisions you’ll face as a destination bride will, believe it or not, not be whether or not to hire a professional Mexico wedding photographer. Once you read our article on that subject, you’ll know the answer (hint: the answer is, if you can, then yes!). In fact, the most difficult decision you’ll have to face is whether or not to have a reception back home for all the people who couldn’t come to your destination wedding, or weren’t invited. And when we say reception, we mean all types of receptions, not just the five forks on the table, black-tie affair kind. Unfortunately, no matter what, you’re likely to see some hurt feelings. Yikes, right?! Not exactly. Remember this wedding is about you, not everybody else. But you can still find ways to make it work and to make it easy for everyone to swallow. I have to tell you that I had to do quite a bit of research to write this post. The fact is, I’m from Utah. Nearly everyone I know is a member of the Church of Jesus Christ of Latter Day Saints (Mormon). So I’m used to receiving a wedding “invitation” that tells me when the bride and groom are getting married and that I’m invited to a reception in their honor, which usually consisted of standing in a line that started with present drop-off, passed by the guest book, flowed quickly down the wedding party line to say hello, and then ended at cake and punch. In fact, I’ve rarely been the guest at a Utah wedding ceremony since the religious ceremony for this religion takes place in a building I cannot enter. So it’s strange to me to think about all of the ways things can go wrong for brides and grooms that don’t invite people to their wedding. But here are some ways you can reduce the trauma for everyone involved, but most importantly, for you. When you have a Mexico wedding and a reception back home, you get the best of both worlds: the wedding you dreamed about and wanted, and the ability to share your joy with the people you care about most. But it’s important to use clear language that lets reception invitees know that you got married on an exotic beach and not in your hometown. There are also less formal ways to address invitations to your reception after the wedding if you so choose, but if your reception invitations will be sent prior to the wedding, formal wording is most appropriate (but still not required). By hiring an excellent Mexico wedding photographer, you can ensure that you have amazing images to show off at your reception. Even if all of your images aren’t ready you can work with your photographer to get some of your images. If you had a videographer at your ceremony, you may also wish to share that at your reception so your guests will feel like they were part of your happy, private moment. 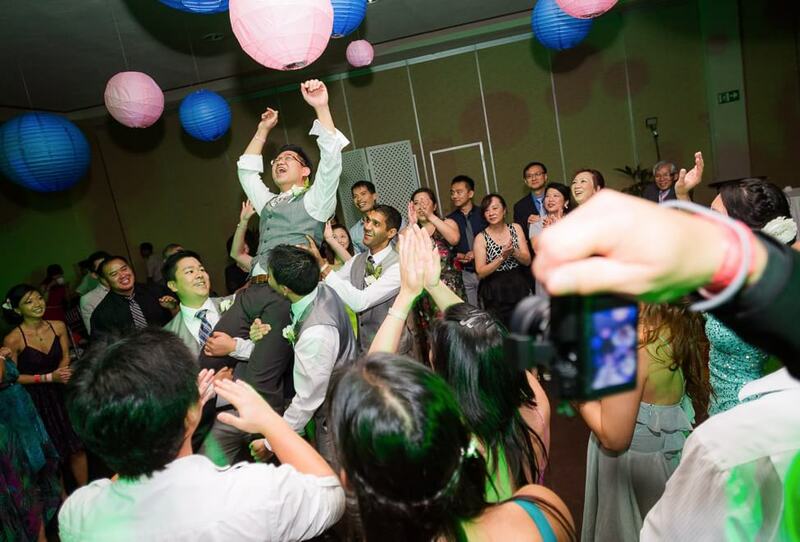 Hiring a local photographer for your big bash at home ensures that you get photos of the excitement of the after party and that your guests are remembered for their contribution to your happiness. If you truly want to avoid hurt feelings and animosity at a reception back home, the best thing to do is treat your reception the same way you would if you had been married at home. Have a big party, provide food for your guests, and be sure to honor the traditions that you would typically experience at a wedding reception. Many couples who have a Mexico wedding choose to purchase a tossing bouquet, a wedding cake, a tossing garter, traditional wedding foods, and more for their reception. Others still wear their wedding attire and even do hair and makeup the same as for the actual wedding ceremony. This can help guests to feel as though you’ve put effort in to thanking them for sharing in your special day, even if they were unable to be there in person for the ceremony. Dressing up your reception like the destination can add a special touch for guests. It’s also important not to expect too much of the guests at your reception. Traditionally, guests bring a gift if they were invited to the wedding ceremony and not just the reception. Again, where I live, this isn’t the case and gifts are always brought to the reception since few individuals are allowed to attend the marriage ceremony. Ultimately, the most important thing to remember is that while you can’t please everyone, there are things that you can do to make the most of your memories and to make the special people in your life feel as though they’ve contributed to your special day.